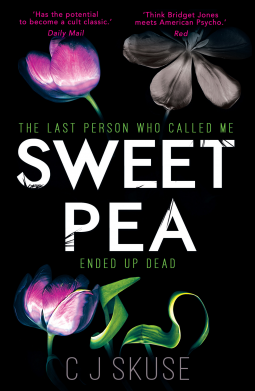 This is the first book I have read by the author and I didn't realise that it is the third in a series featuring Laura Lake. It certainly didn't hinder my reading of this book and I was able to read it as a standalone book. 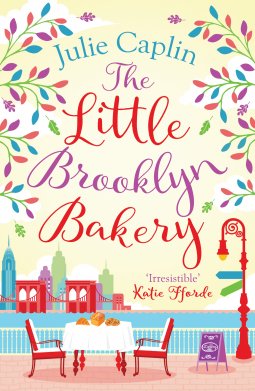 A delicious read for when you just want a completely relaxing novel and a good chuckle. I am giving this book 5 out of 5 stars and my thanks to Netgalley and Head of Zeus for my ARC to review. This is the story of one person from their birth. 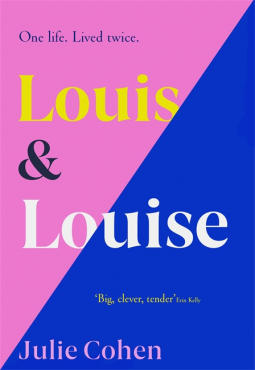 However the twist is that it is told in two timelines - one where they are born Louis and one where they are born Louise. I'm giving this book 5 out of 5 stars. My thanks to Netgalley for the ARC. 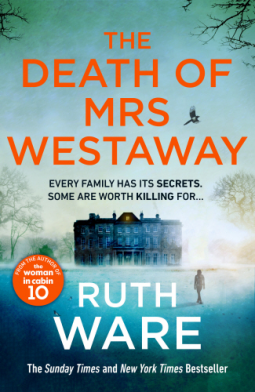 If you are in the UK you may have seen or heard of a TV programme called Fleabag - well this book reminded me very much of the main character in that show - although I doubt Fleabag is a killer! The book also has the same narration, breaking the fourth wall as it is known in TV, by talking to the reader. It's certainly original. I'm giving this book 5 out of 5 stars. My thanks to Netgalley for the ARC. 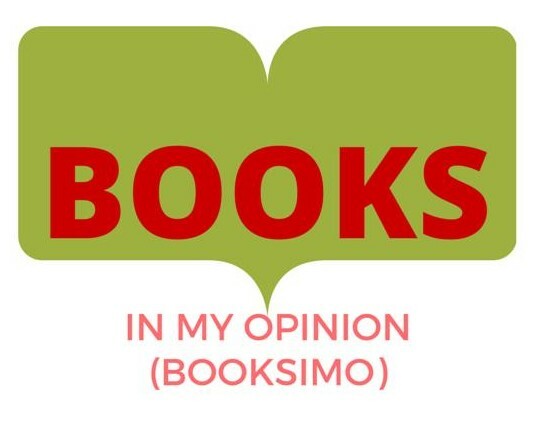 I'm giving this book 3 out of 5 stars. My thanks to Netgalley for an ARC to review. 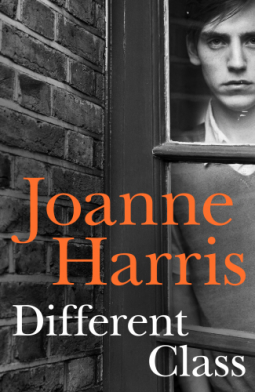 When I first began to read this book I was unsure that I was going to like it. Narrated by Sylvia it seemed that her thoughts were just streaming onto the page and a lot of it made cringeworthy reading. 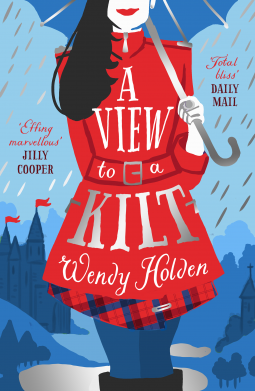 If you liked Eleanor Oliphant, or the Rosie Project then I think you will like this too. 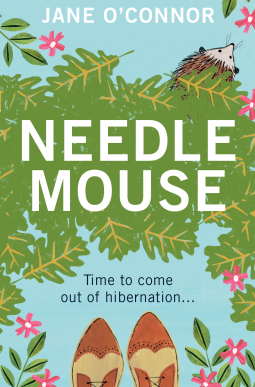 BTW "Needlemouse" is hedgehog literally translated from the Japanese - which has a twofold meaning in the book. There are also delightful hedgehog snippets for the seasons as you go through the book. I'm giving this book four out of five stars. My thanks to netgalley for an ARC. The book is out on 27 June 2019. I'm giving this book 5 out of 5 stars. My thanks to Netgalley for an ARC to review. 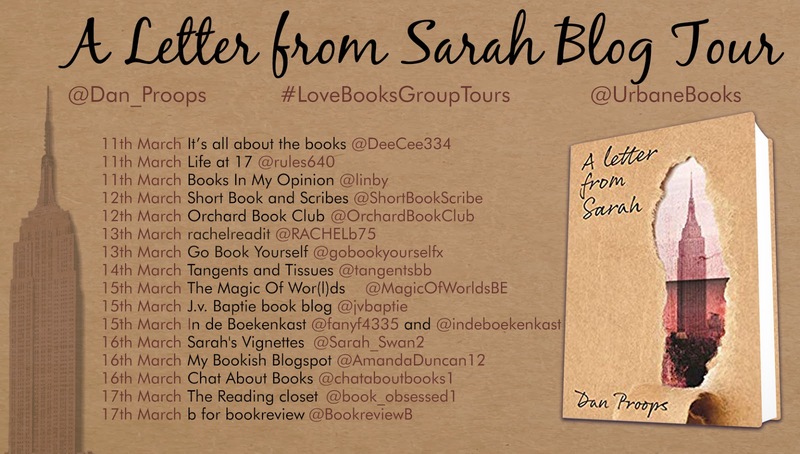 I'm so pleased to be part of the book tour today for A Letter from Sarah by Dan Proops. Adam's sister, Sarah, has been missing for seven years, but he hasn't given up hope of finding her. He is a sculptor and lives with his bedridden father who is a bully and a curmudgeon. One morning, as the anniversary of Sarah's disappearance nears, Adam receives a letter from her and she is apparently alive and well, living in New York. Adam travels to Brooklyn to search for Sarah as he's desperate to see her, but she seems determined to avoid him. 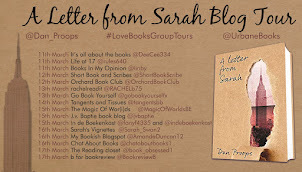 Sarah's letters arrive weekly, but she continues to remain elusive. Adam is perplexed by Sarah's requests for secrecy, as is his father and his girlfriend, Cassandra. I don't recall ever having read a book like this before - the writing style is very unique almost like you are not reading something happening in the real world. It's hauntingly beautiful in many ways but equally disturbing in places too.